About: Meng is from Qingdao, China. He received his Ph.D. in Analytical Chemistry at Zhejiang University, Hangzhou, China. Meng is interested in developing microfluidic tools for biomedical applications with particular focus on embryo development and cell cycling in Prof. Yang’s Lab. When not in lab, Meng enjoys most relaxing and outdoor activities in sunny days. About: Gembu came from Japan. He obtained his Ph.D. degree in cell biology at Kyoto University, Japan. He acquired a live cell kinase activity imaging and an ontogenetic technique in his doctoral course. Now, he is interested in the principle of accuracy of mitotic phase entry. In the Yang Lab, he aims to address this mechanism with the cell-free system, live cell imaging, and mathematical modeling. About: Zhengda is born and raised up in Henan, a central province in China. 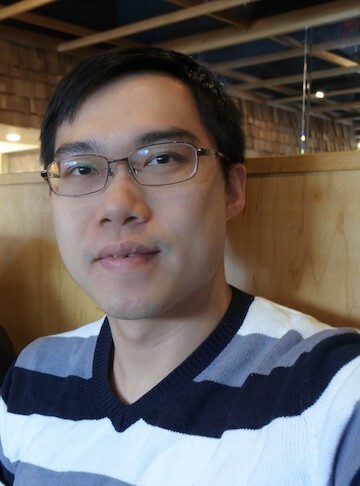 He studied biological science in Peking University before getting into Bioinformatics Program in University of Michigan. Zhengda is interested in elucidating design principles of molecular circuits in biological oscillators. 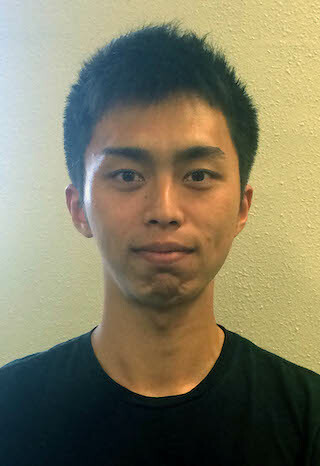 In Yang Lab, he systematically studied the role of auxiliary structure in biological networks using computational tools and theoretical method, and is now focusing on characterizing oscillator behaviors predicted by modeling experimentally. In his free time, Zhengda enjoys music and hiking. About: Growing up in a small in town in Wisconsin, I come to the University of Michigan via a small liberal arts college in Minnesota: St. Olaf. Now a Physics PhD student here, I currently study mitotic trigger waves in one and two dimensions from both computational and experimental methods. My research interests extend to numerous topics in complex systems, dominated by a principal focus on disorder and its effect on otherwise well understood physical phenomena. About: I come from Taiwan and earned my master and bachelor degree from National Tsing Hua University. Inspired by observations of distinctive cellular responses through smallscale architectures in my previous experiences, I have always aimed to develop biomedical tools in my research career. My research interest includes cellular biomechanics, microfluidics, micro/nanofabrication, and biomolecular devices. I would like to use my mechanical engineering background to investigate the impact of mechanical forces on the segmentation clock in individual cells in zebrafish. About: Hello, My name is Jesse. I was born and raised in Los Angeles, California. I received my bachelors in physics from the University of California, Santa Cruz. I am part of the 2018-2019 PREP cohort and have joined Dr. Yang's lab to learn more about the interdisciplinary field of biophysics. After the PREP, I will be applying to PhD Physics or Biophysics programs. On my free time, I enjoy hiking and cooking. About: Hi, here is Zijun. I got my bachelor degree in biology and statistics from Sun Yat-Sen University in China, and currently a first-year graduate at the University of Michigan. I am interested in applying mathematical methods to understand biomedical mechanisms and developing tools to improve data workflow. Enjoy hiking and playing Guqin. About: I was once Honors (pure)Math, Honors Physics double major and philosophy/epistemology minor, but I ended up with a degree in Cell and Molecular Biology. The pursuit for biological immortality is perhaps the motivation for switching my major. I have been told many times that I am wasting my time and talent. Generally, I am interested in most fields of research. Once an interesting question is asked, I feel the urge to answer it. I am more inclined to imagination/intuition than perception. About: Hello! My name is Daniel Khain, and I am a freshman in the LSA Honors program. I plan on studying math, computer science, and physics. In my free time, I enjoy playing classical guitar and ping-pong.